It's because of Joseph smith practice as polygamy that would not allow him to be a member of our church. So the founder of your church would be not welcomed in your own church today? If he was wrong on the polygamy thing, then how do you know that he wasn't wrong on the whole Book of Mormon thing? I would like this person to answer some questions about the Mountain Meadows Massacre, where blood-thirsty Mormons (and it was on 9/11 1857, a coincidence?) killed innocent Christians. As we know, it would not have been endorsed by any Biblical text, as it was only and purely persecution of Christians. Apparently the Mormons could not live in peace with the Christian Settlers. Now, my question is what parts of the Book of Mormon or the teachings of your prophet Smith were the ones that condoned this massacre of women and children. As it is not in the Bible that Christians should kill Christians, it must be somewhere in the Book of Mormon, and I need the expertise of this native Mormonian to explain it to us. It's because of Joseph smith practice as polygamy that would not allow him to be a member of our church. And Alvin, you do know that is a bit extreme, they were only trying to start a branch. And as for the golden statue. We don't build statues of false idols, that is the angel mormoni, not God. And we don't practice pagan rituals. We are Christian like you, not pagan. And welcome anyone in our church, so long as they are respectful, reverent and don't dress provocatively or inappropriate. But they cannot become members of our church. What do you make of the contradictions between the Book of Mormon and the Bible? The term "Christian" didn't come into use until around 40 AD. Acts 11:26b And the disciples were called Christians first in Antioch. Yet the Book of Alma, supposedly describing events around 73 BC, says the Nephites were Christians. The Bible says there were three hours of darkness at Jesus' crucifixion. Lk 23:44 And it was about the sixth hour, and there was a darkness over all the earth until the ninth hour. The Book of Mormon says there would be three days of darkness. Hel 14:20 But behold, as I said unto you concerning another sign, a sign of his death, behold, in that day that he shall suffer death the sun shall be darkened and refuse to give his light unto you; and also the moon and the stars; and there shall be no light upon the face of this land, even from the time that he shall suffer death, for the space of three days, to the time that he shall rise again from the dead. The Bible says Jesus was born in Bethlehem. The Book of Mormon says He would be born in Jerusalem. Alma 7:10 And behold, he shall be born of Mary, at Jerusalem which is the land of our forefathers, she being a virgin, a precious and chosen vessel, who shall be overshadowed and conceive by the power of the Holy Ghost, and bring forth a son, yea, even the Son of God. The last two examples are a case of unfulfilled prophecy, which the Bible says must be rejected. Deut 18:22 When a prophet speaketh in the name of the Lord, if the thing follow not, nor come to pass, that is the thing which the Lord hath not spoken, but the prophet hath spoken it presumptuously: thou shalt not be afraid of him. You won't find any glaringly obvious contradictions like these in the Bible. Please explain. I'm pretty sure that Jesus wasn't born in a city. I'm pretty sure he was born in a manger in the countryside. 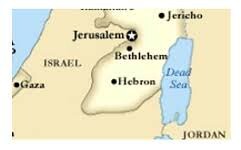 It was possible that the area that Jesus was born was Jerusalem territory during the writing of the Book of Mormon but was changed to be Bethlehem territory. I can't really explain the Christian thing. And I know nothing about the mountains meadow massacre. This is the first I have heard about it. I will actually go look that up and read into it later. But as for the whole thing about Joseph smith. The reason why that is the only thing we wouldn't let him because of polygamy, is because polygamy goes against our sacred marriage vows. Simply put, while everything else doesn't really contradict, polygamy and our sacred marriage rules don't fit. We found polygamy to be considered a act of lust, which is a sin. So we did away with that. I'm pretty sure that Jesus wasn't born in a city. I'm pretty sure he was born in a manger in the countryside. You don't know the Bible very well, do you? Perhaps you're getting confused with the shepherds in the countryside who saw the angels and then went to Bethlehem to see Jesus (Lk 2:8-15)? It was possible that the area that Jesus was born was Jerusalem territory during the writing of the Book of Mormon but was changed to be Bethlehem territory. Jerusalem and Bethlehem, although they have been known by different names (Gen 35:19; Jdg 19:10), are, and always have been, two different cities. I can't really explain the Christian thing. That's because there isn't any reasonable explanation. The Bible says one thing; the Book of Mormon says another. Face it. They contradict each other. But as for the whole thing about Joseph smith. The reason why that is the only thing we wouldn't let him because of polygamy, is because polygamy goes against our sacred marriage vows. Simply put, while everything else doesn't really contradict, polygamy and our sacred marriage rules don't fit. We found polygamy to be considered a act of lust, which is a sin. So we did away with that. Jesus taught that monogamy was established in the Garden of Eden and ought to be upheld. But polygamy was allowed for a while. Ex 21:10 If he take him another wife; her food, her raiment, and her duty of marriage, shall he not diminish. Many of the Old Testament saints were polygamists. King Solomon had 700 wives and 300 concubines (1 Ki 11:1-3). We don't know how many King David had. Eight are named in the Bible (1 Sam 18:27; 1 Sam 25:39; 2 Sam 3:2-5; 2 Sam 12:24) and he took other wives and concubines on top of that (2 Sam 5:13). Would these men also not be allowed in your church if they were alive today? After all, King David was a man after God's own heart (1 Sam 13:14). I'm pretty sure that Jesus wasn't born in a city. I'm pretty sure he was born in a manger in the countryside. It was possible that the area that Jesus was born was Jerusalem territory during the writing of the Book of Mormon but was changed to be Bethlehem territory. The game is over. This rationalization is what we call an ad hoc escape. It is a fallacy. Without any other immediate way out of your dilemma, you just dismiss it, and, as a result, either you or one of those responsible for your indoctrination have come up with an idea "that it would be possible". We should apply Bayesian probability to this. What is the prior probability of municipalities changing their names or city authorities this way between 40 BC - 0 AD? Can you provide us with some figures? It is also an ad hoc, because it is a simple claim ("it is possible") but you fail to even consider other hypotheses, one which, and, in fact, much more plausible in its prior probability, is the one that Mr. Smith simply invented all this. We have, as it happens, loads of fictional "sacred texts", much more than the one that is True™. For instance, we have the Popol Vuh, the Tao de ching, The Urantia, Dianetics, the Loose Cannon, etc. Thus, the prior probability of your "sacred book" being an elaborate construction without factual base is much higher than the "possibility of municipalities changing authority". Are you willing to consider this hypotheses, i.e., is your claim falsifiable? Furthermore, if we look at the actual evidence that is admittedly scarce, we find that Bethlehem was a City by its own right as early as during the Temple period (600-700 BC). Even the name is mentioned (בת לחם). Of course, it is also in the Old Testament that was finished long before the alleged date for your Book of Mormon. By all means, you can just decide that a distant possibility invented on the spot is "evidence", but apparently you are also trying to convince others. To attain that, you must do a better job, I'm afraid. The goes for the other discrepancies mentioned in Brother Pim's educated post. Don't forget to test your escape explanations against prior probability. And, please, learn about the actual history of your religion. The Mountains Meadows Massacre is a good place to begin. This post is beautiful, just like our LORD. 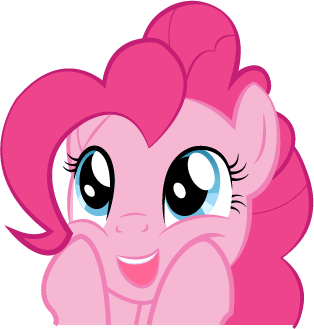 "Bronies" as they are called are gaylord meme makers. Don't get me started on memes, promoting homosexuality. Don't get me started on memes, promoting homosexuality. It's a deal. How about instead you get started on praising Jesus? Dear Pastor J.C. Manning,I know that you feel very passionate about this due to the fact it destroyed your daughter marriage but I would like to tell you something. 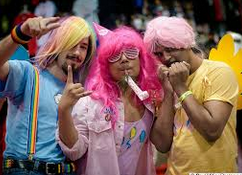 A "brony" is someone who is male and likes the show my little pony, the people you are referring to in this article is what is called a "clopper". To the my little pony fandom(the people who like the show) these people are the equivilent of satan worshippers and no one likes them. 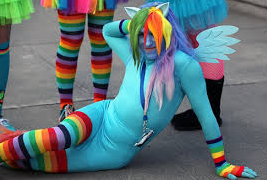 For example, I am a brony however I do not dress up like that and go to meetings I just simply like the show. Why do we need 1001 words for gay? 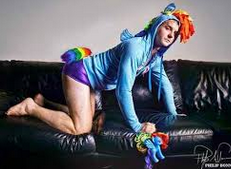 A grownup man who likes watching series about pink horses meant for little girls is gay. Just use regular words please. I think that I may sink into a diabetic coma. This isn't even related to the my little pony business. 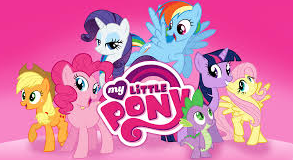 In fact, the manufactures of "My little Pony" franchise openly condone the usage of this in any way except as a popular children's entertainment. So if the owners, controlers, and manufactures, of "My little pony" are telling these people that they should stop doing this because it's sick and perverts, who is at fault? I'd say that the people who took this innocent toy, and perverted it are at fault. Not the toy. Because the toy can't do anything to stop these twisted people from using them to fulfill their urges. Only God can. So don't blame the toy. People's sin is people's sin. This is like saying the some people use guns to murder, therefore, guns are Satan's temptation. I recommend praying calmly to God for these people to turn away from their sin, rather then condemning them. The bible preaches forgiveness and understanding and not to judge others. None of us are without sin. And all sin is equal according to God, because it's disobedience to God. Therefore, we are not worthy to judge the people around us for what they do. Hate their sin, love them. You seem to be arguing against yourself there, dear. If the franchise condones it, then it is responsible. and he cannot sin, because he is born of God. You would have us keep quiet, to the contrary of what Christ tells us. Your silly little encouragement to adopt a vague and meaningless faith that has no real concept of sin or forgiveness won't work here, ear. I didn't say be quiet. I said it is not your place to judge who will go to hell and who won't. No man is equal to God. God is almighty and all powerful. Claiming you're equal to God, is a sin. Remember Lucifer? God says he is perfect, and that Jesus was perfect. He also says explicitly there is no man without sin except Jesus. If Jesus is the only perfect human, then you cannot say you're perfect without defying God. And yet it is also true that the Lord has made clear who He will condemn to Hell and why. Are you saying we should ignore God's commands and His pronouncements? Not at all.But when God says he's above all humans, I feel we should listen to that. It is our place, nay our responsibility, to identify sin from those around us. Why do you have a problem with this God-Given task? Strawman, dear. No one said any such thing. No one even implied it. No one claimed to be "equal to God." These are false accusations you make. Saying one is without sin is simply sharing the Scriptures, dear. Do you accuse the Scriptures of being misleading? Misinformed? Inaccurate? This one comparison does not mean full equality. Presumably, Jesus was human in every conceivable way back when He walked the earth. Nevertheless, having eye teeth, blue eyes, or even a fully functioning penile member does not make a man "equal to God." Not at all.But when God says he's above all humans, I feel we should listen to that. Do you? Duh! Paying attention really isn't your thing now is it? The sad part is that YOU are not listening to God at all. YOU are ignoring HIS commandments. James 2:10, which you no doubt never bothered to read, tells us this means YOU will burn in HELL for all eternity!